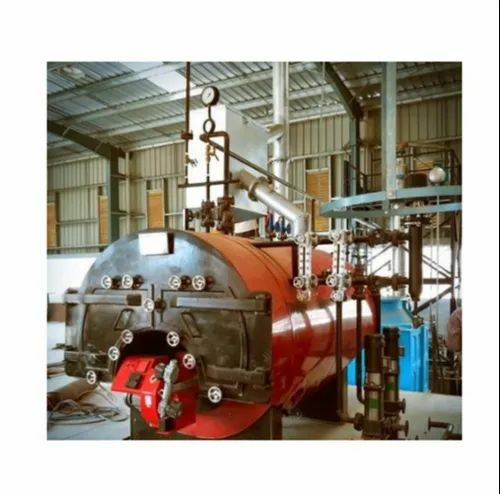 With immense industrial experience, we are deeply engrossed in offering a wide assortment of qualitative High Temperature Boiler. These achieve high efficiency (typically greater than 90% on the higher heating value) by using waste heat in flue gases to pre heat cold water entering the boiler. Water vapour produced during combustion is condensed into liquid form, which leaves the system via a drain. Boiler performance is based on the efficiency of heat transfer and highly dependent on boiler size/output and emitter size/output. System design and installation are critical. Matching the radiation to the Btu/Hr output of the boiler and consideration of the emitter/radiator design temperatures determines the overall efficiency of the space and domestic water heating system.